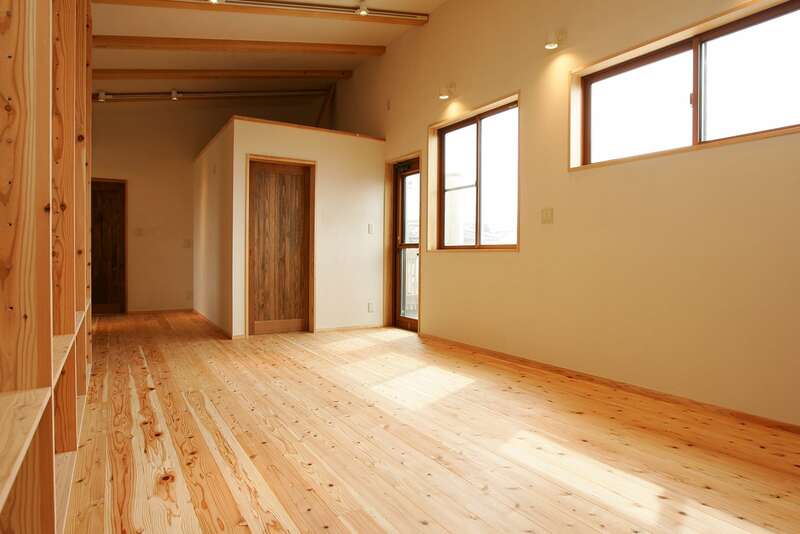 Resident K was the first new construction work after our company was founded. 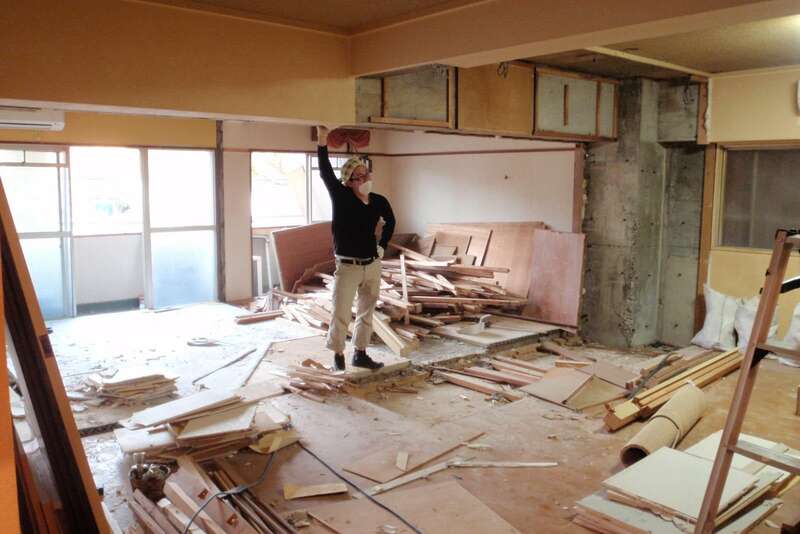 We only undertook carpentry work, but it was a very memorable job. 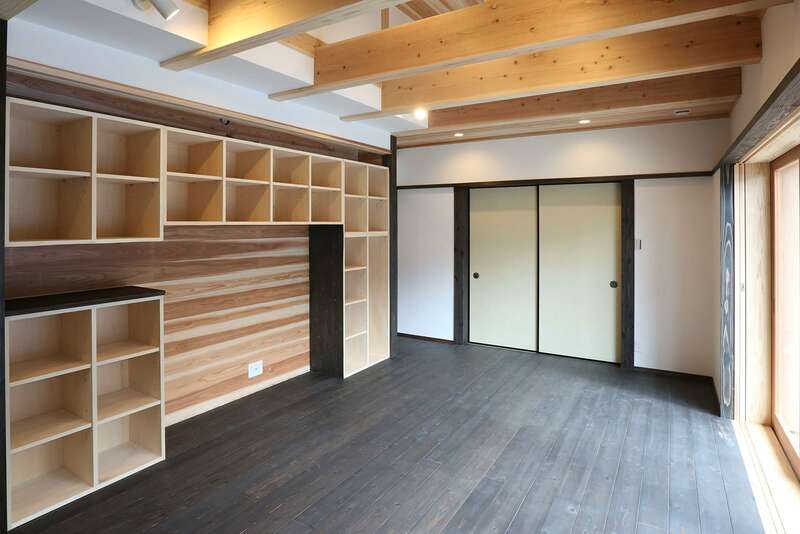 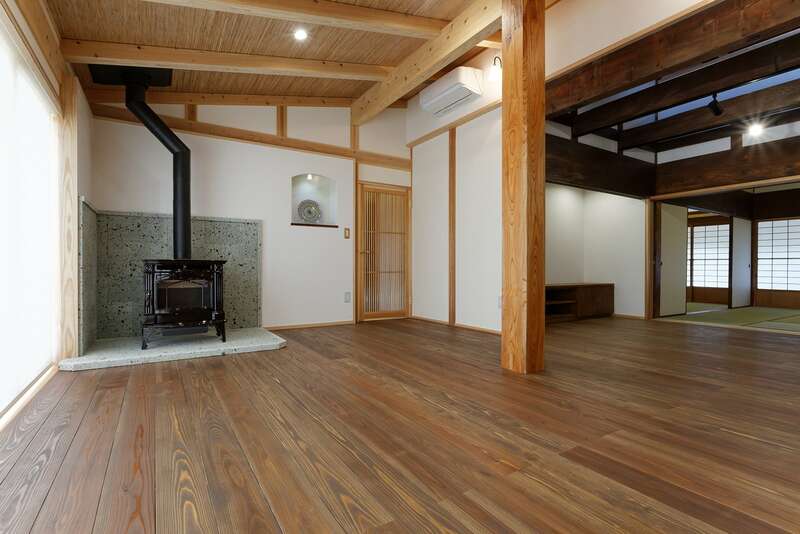 Together with the customer family, we went to a forestry association in Oguni Town, Kumamoto Prefecture to see and find out the wood to be used in the house. 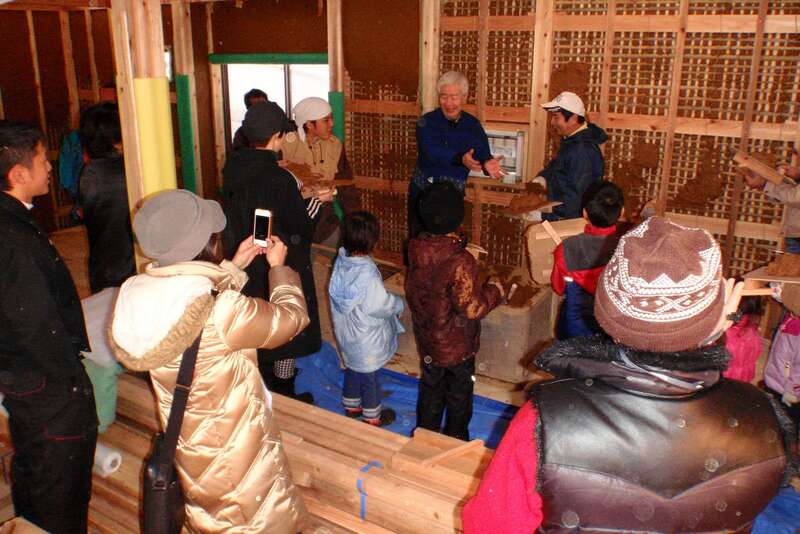 Many friends were happy enough to gather around the house to experience a wall painting workshop. 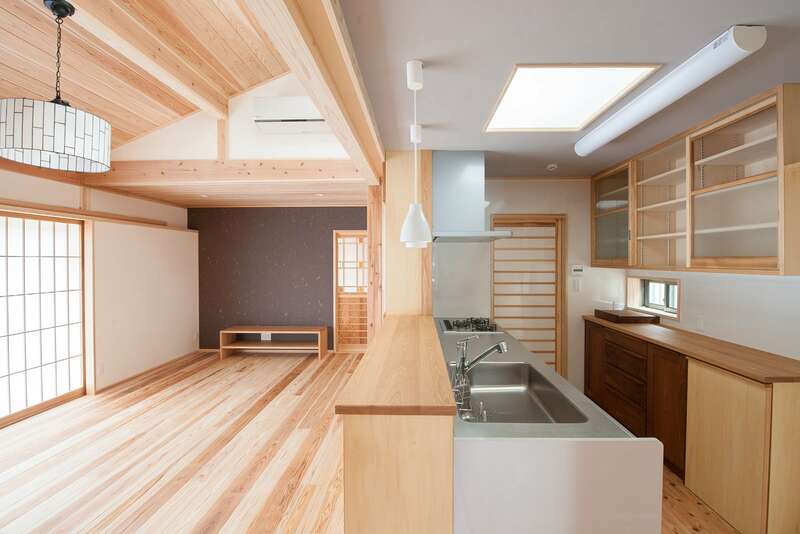 Despite Residence U is an one-story compact house, the gradient ceiling and the loft make it possible to feel the area wider than the floor space. 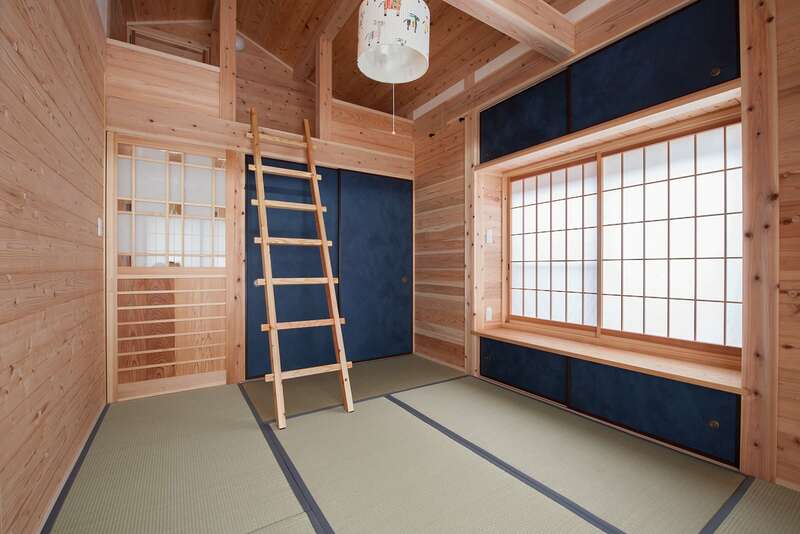 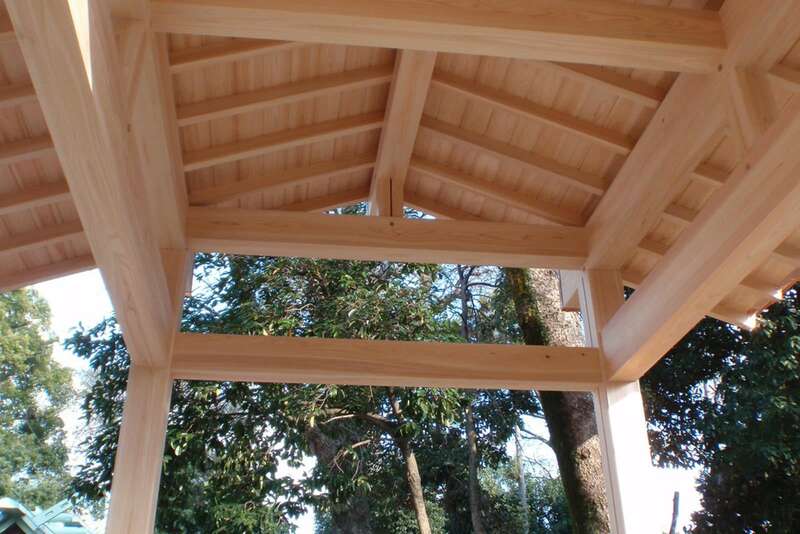 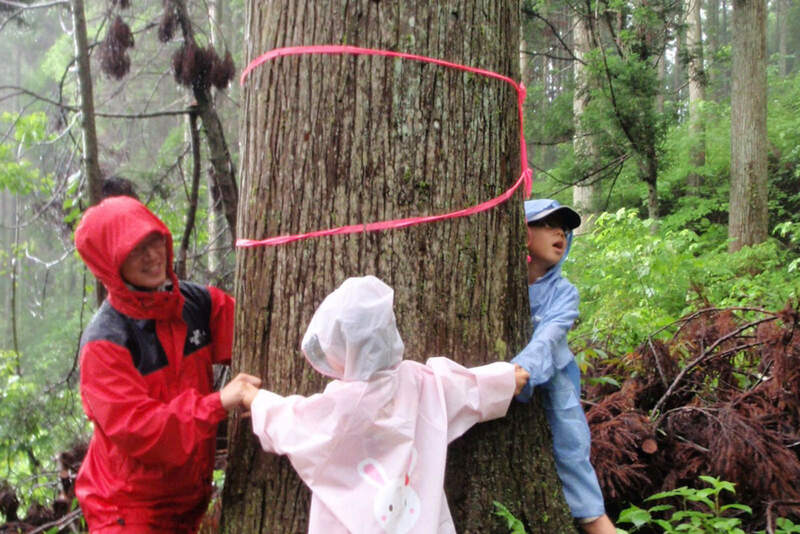 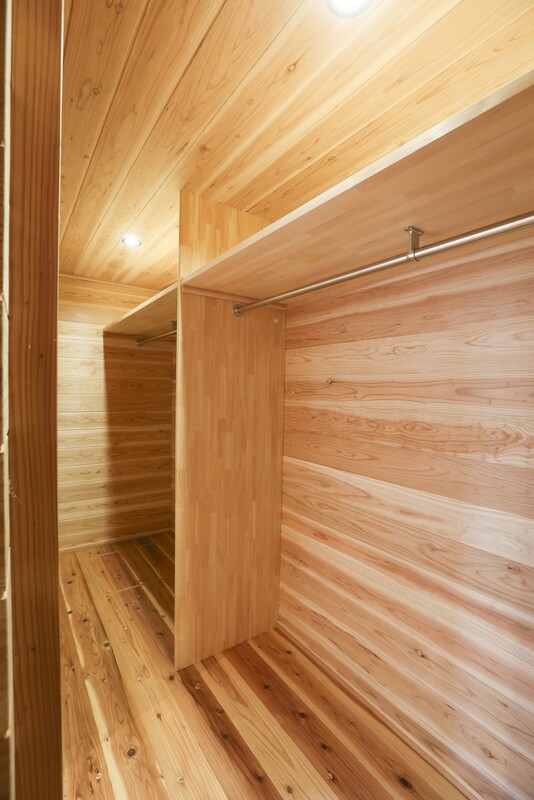 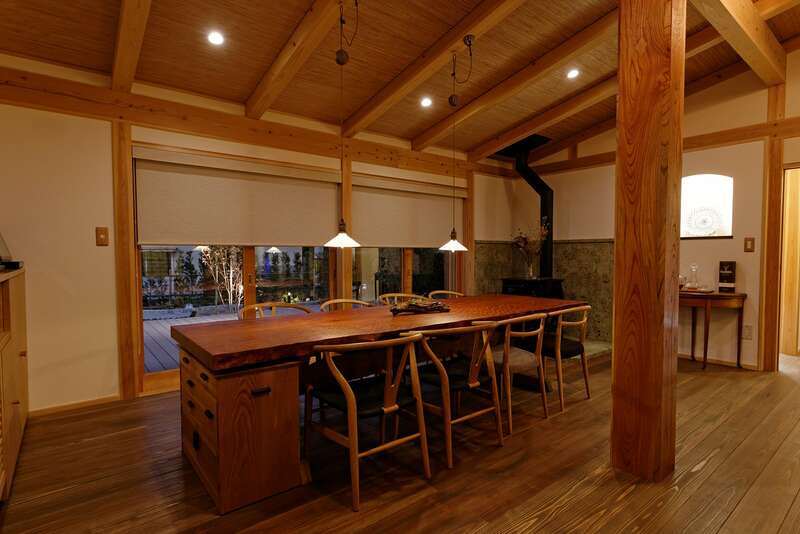 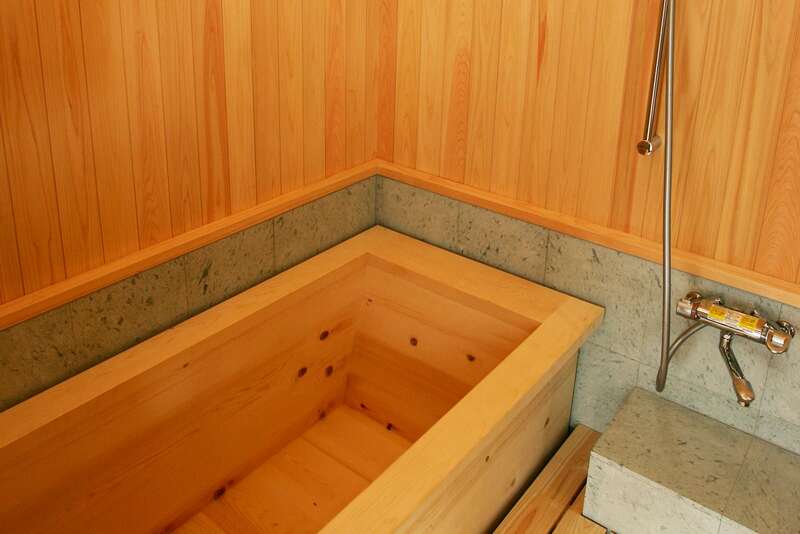 Cedars of Morotsuka-son of Miyazaki prefecture are abundantly used for both structural materials and finishing materials. 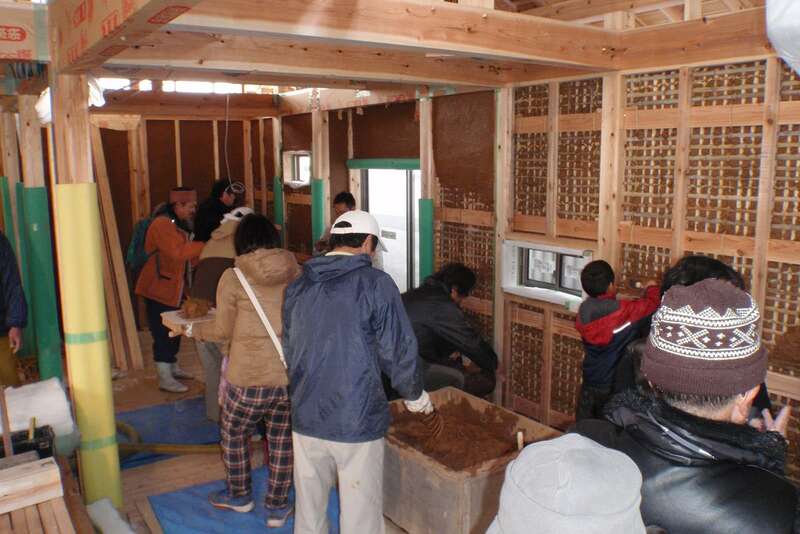 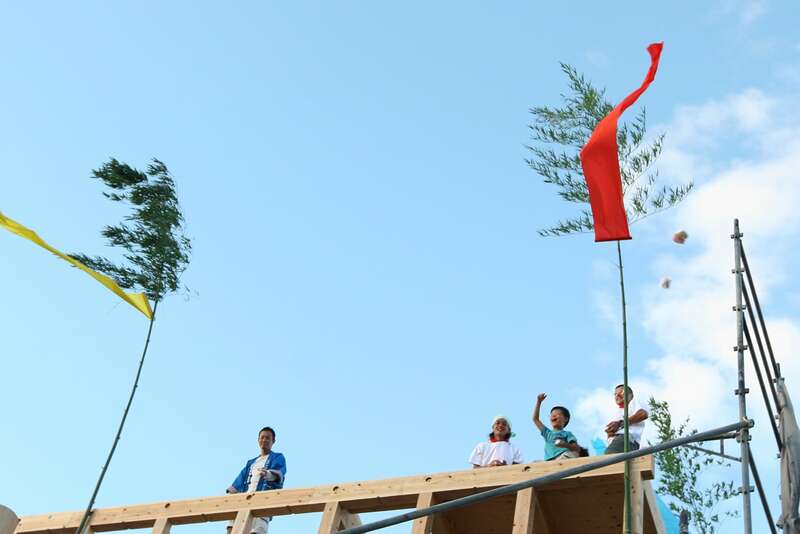 During the construction, we also held mud wall attachment workshops. 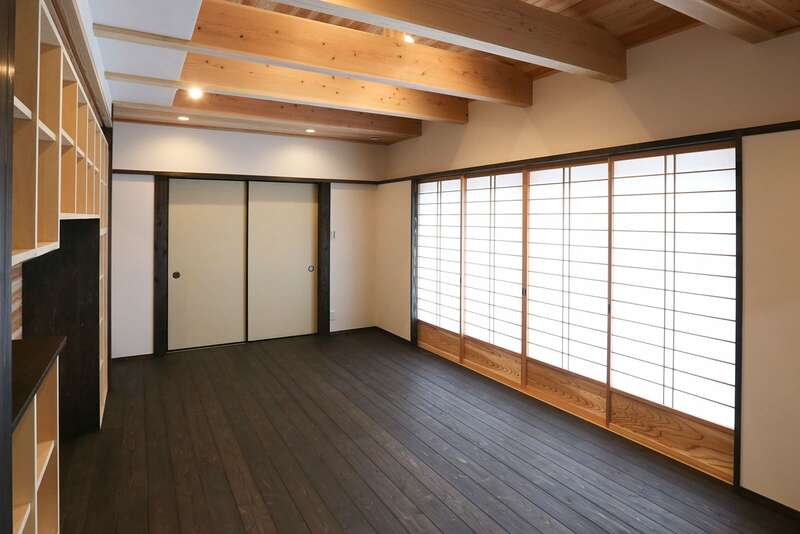 The owner himself put paint on the floor and furniture, therefore the strong demand of the owner is scattered around every place in the house. 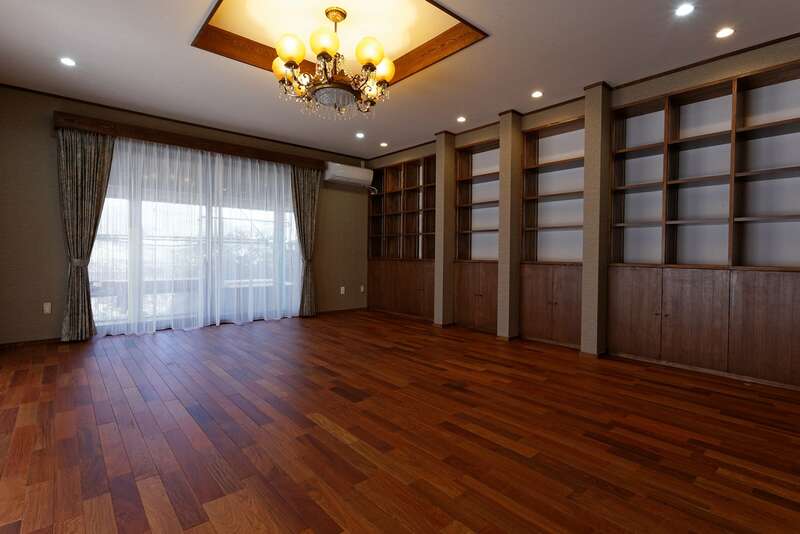 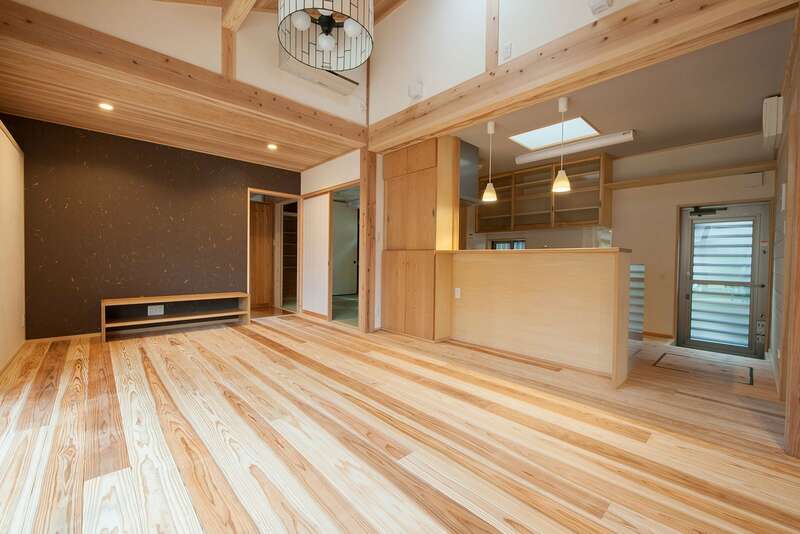 All the wooden fittings can be retracted in the livingroom, so that a very open living has been realized. 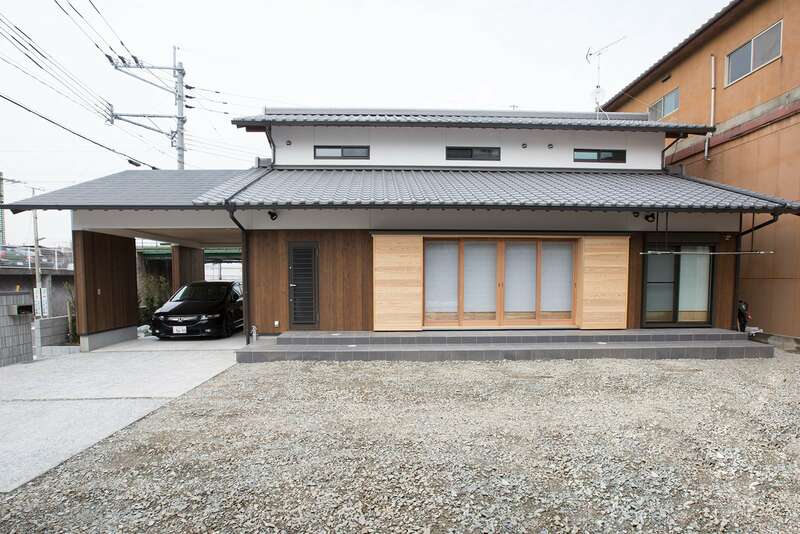 This house gives a sharp impression that the deep eaves stand out. 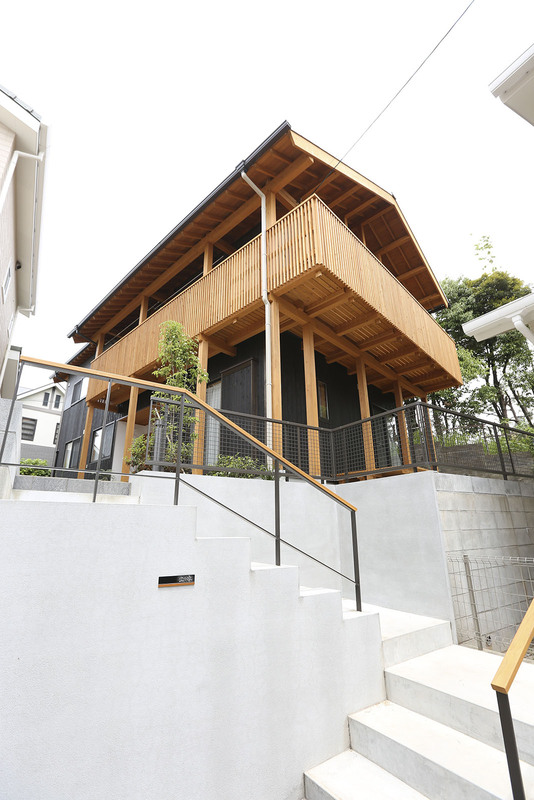 This is a two-story house built in a complicated residential area. 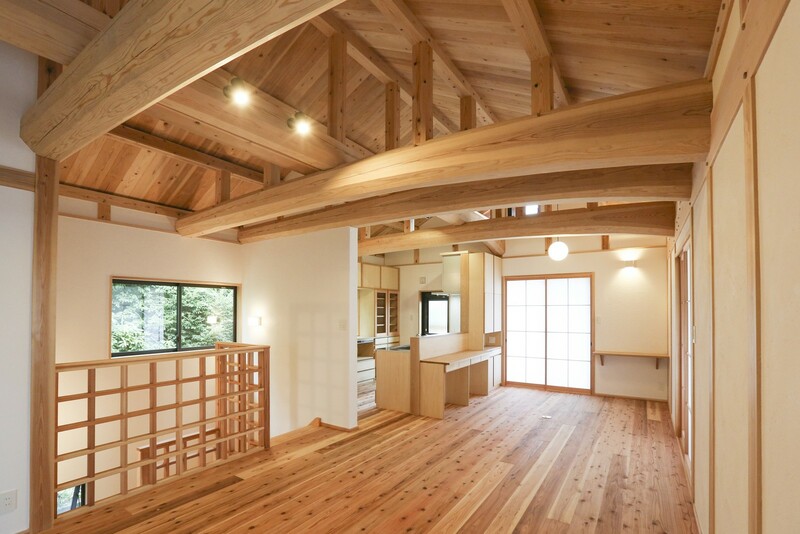 Main elements of a house, such as living room, kitchen and bathroom, were build on the second floor. 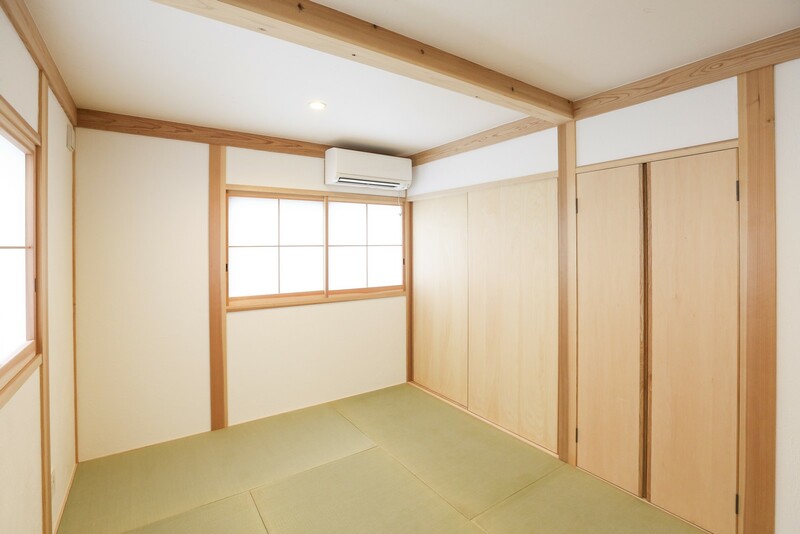 Therefore, even in the neighboring residential area, the sunlight poured in the house, wind blows in and out, creating comfort. 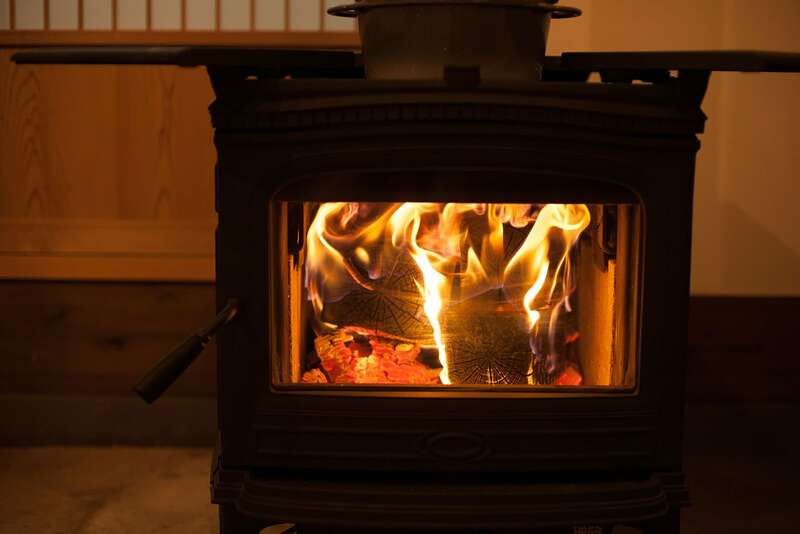 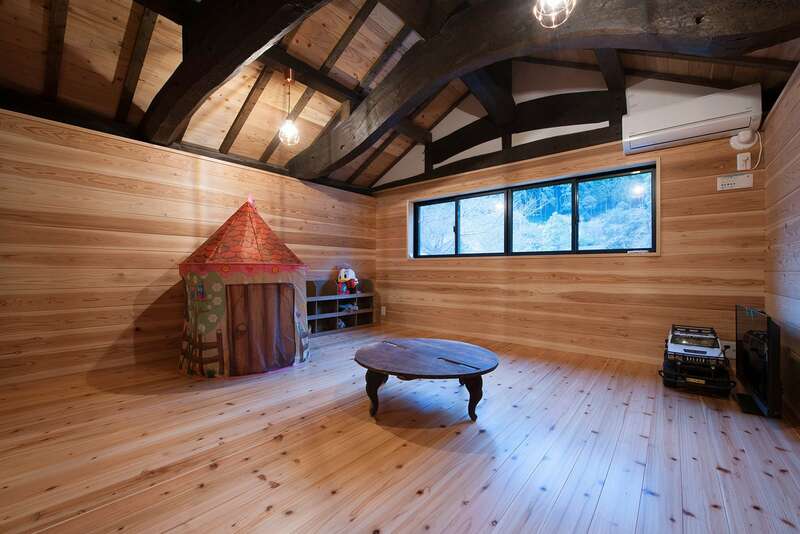 In the living room, a thick drumhead runs vertically and horizontally to produce the beauty of the structure of wooden buildings. 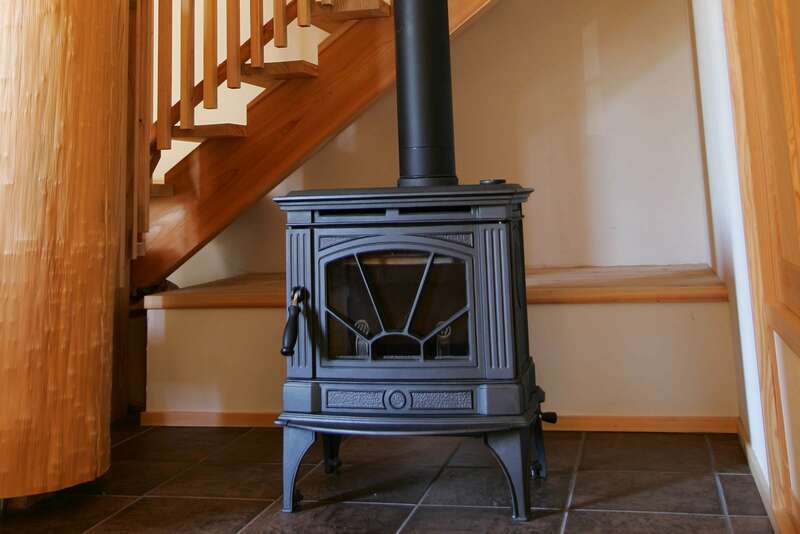 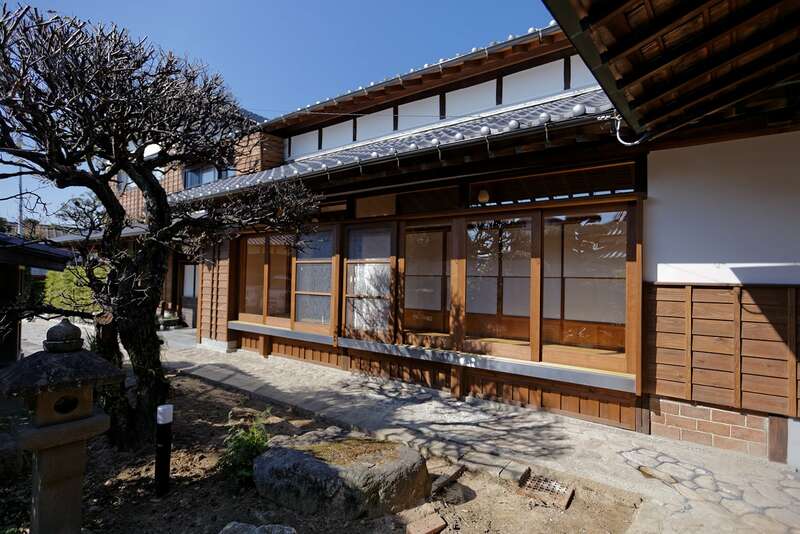 It was just 100 years after this house was built, that we were asked to rebuild the house. 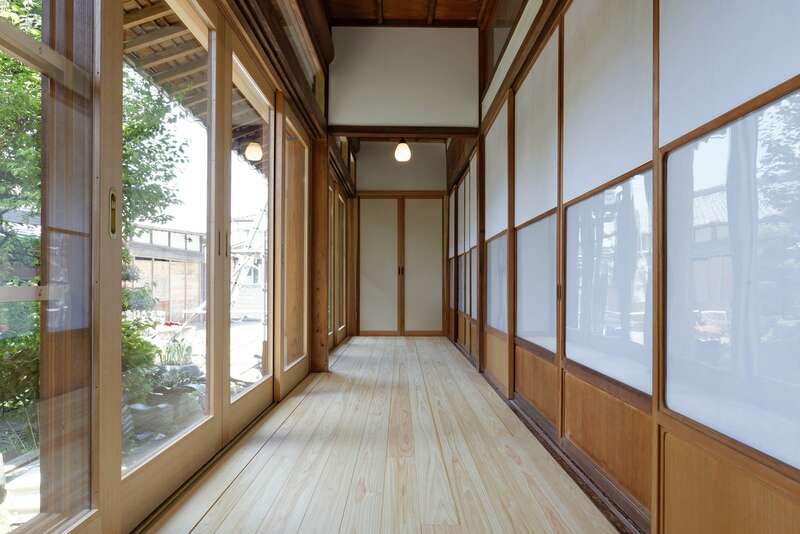 The concept given by the customer was "the next 100 years". 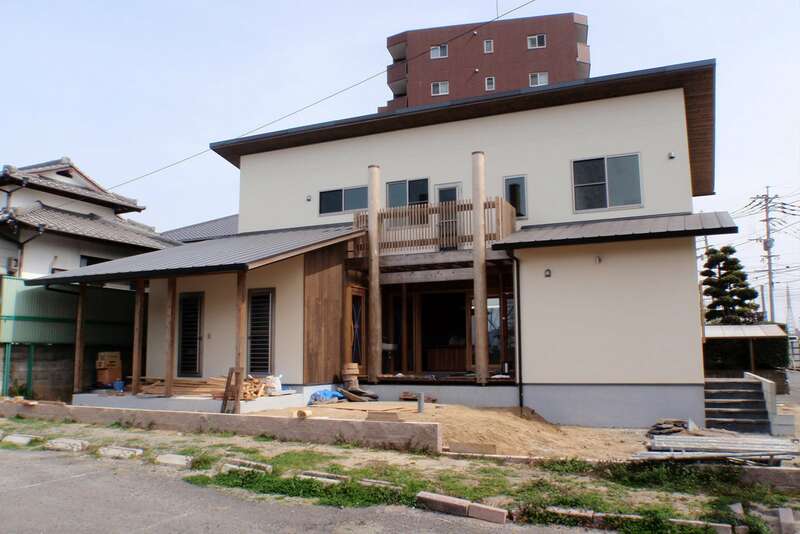 After the new building, this house was repeatedly expanded and remodeled, so many parts that were not consistent were found. 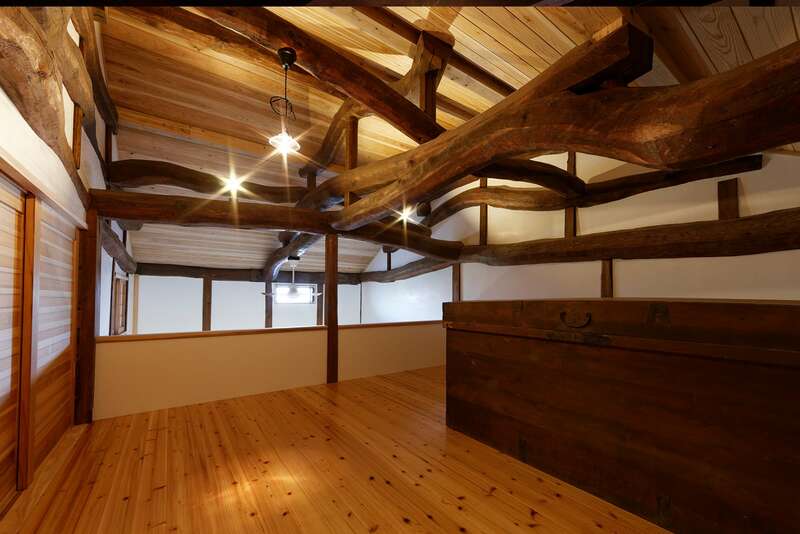 As a result, we spent a lot of time to reinforce and organize the structure, and the construction period took over a year and a half. 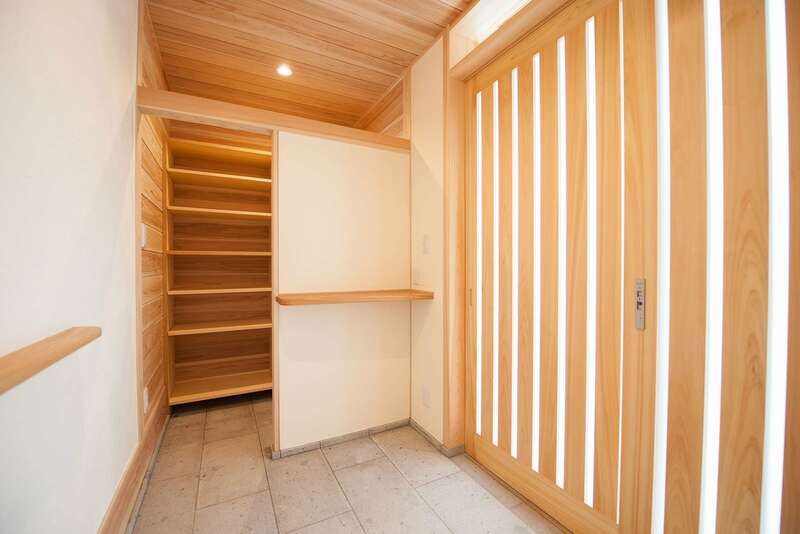 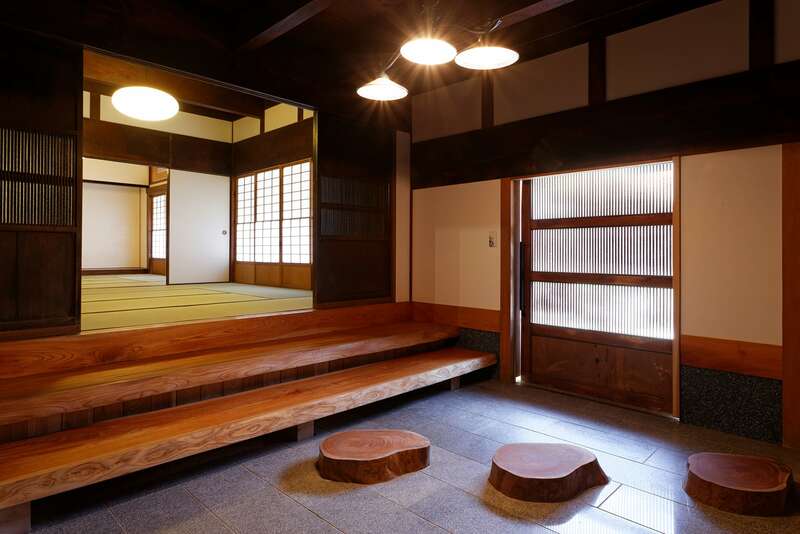 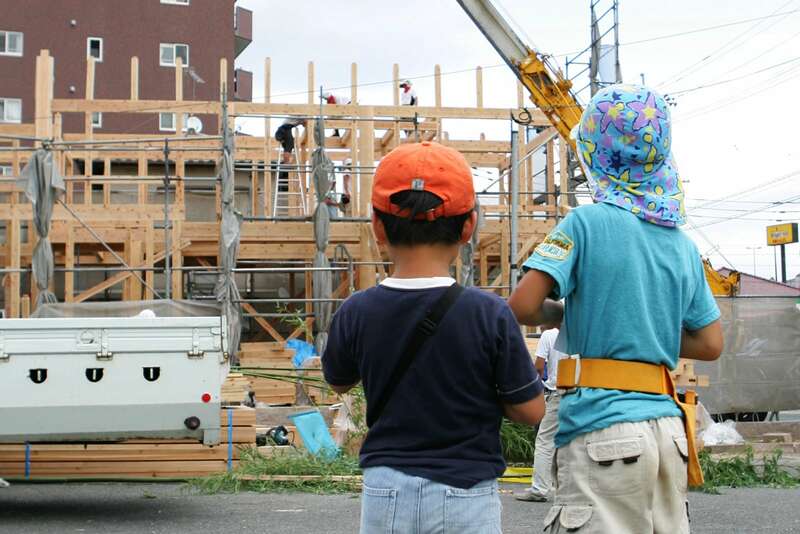 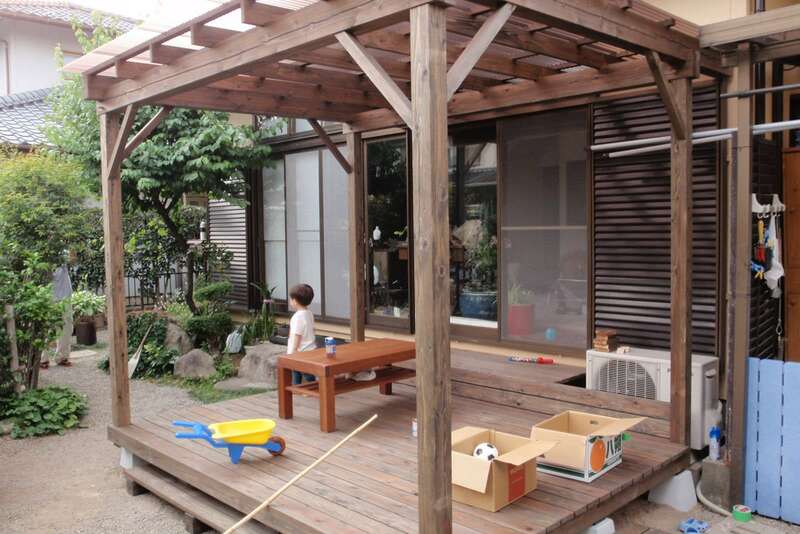 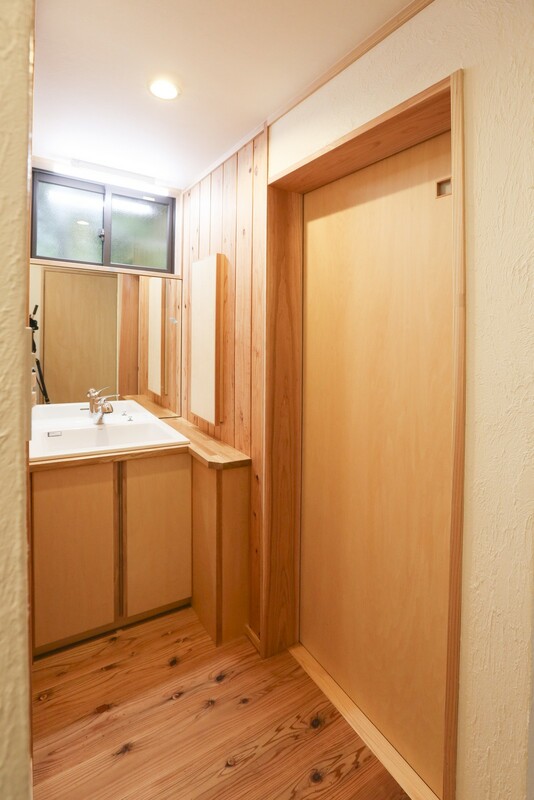 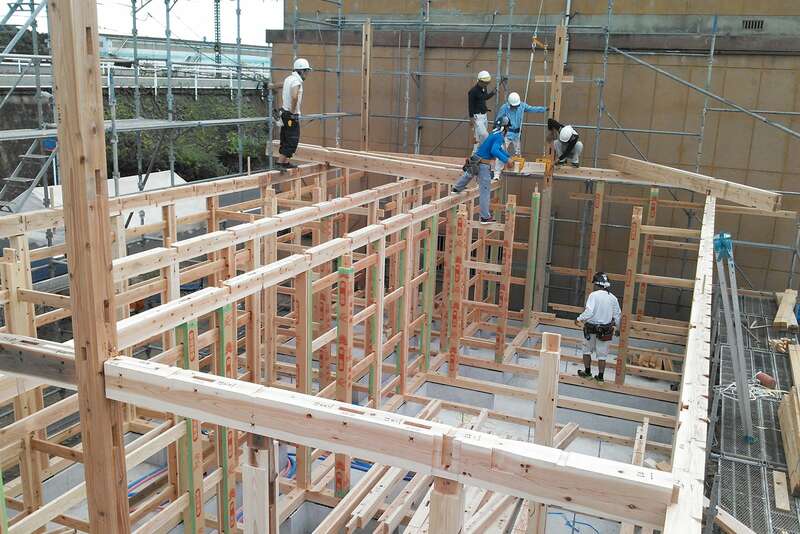 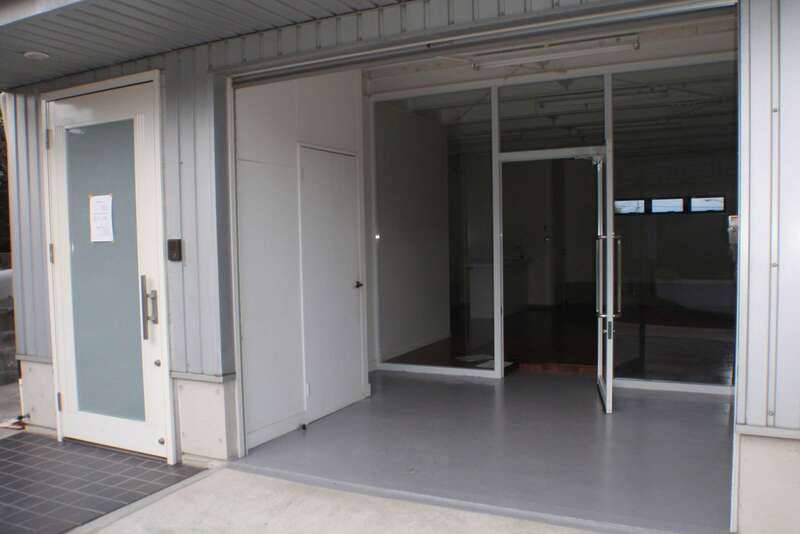 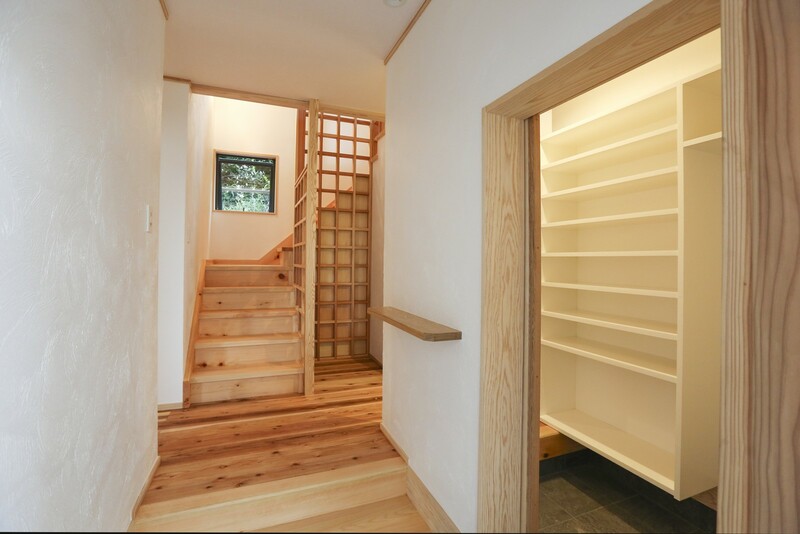 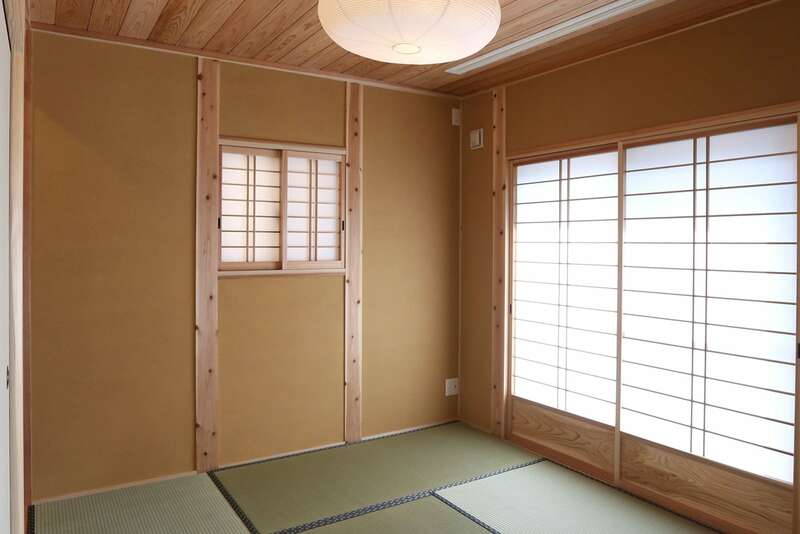 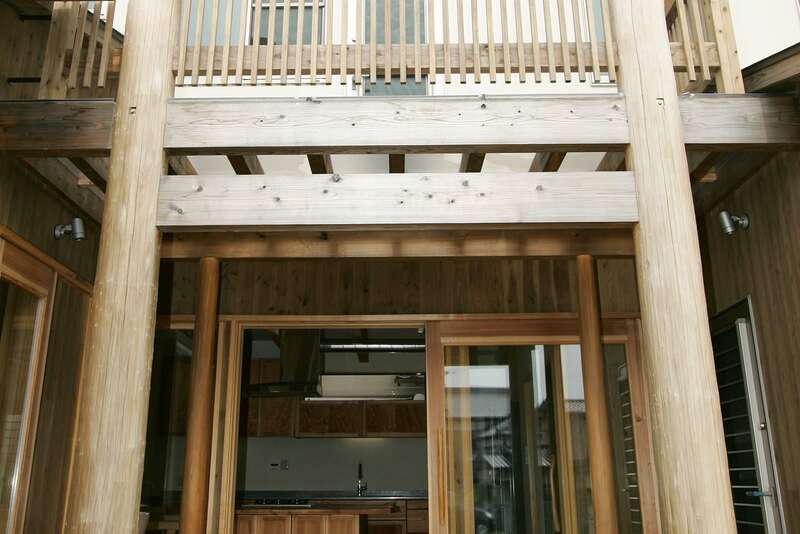 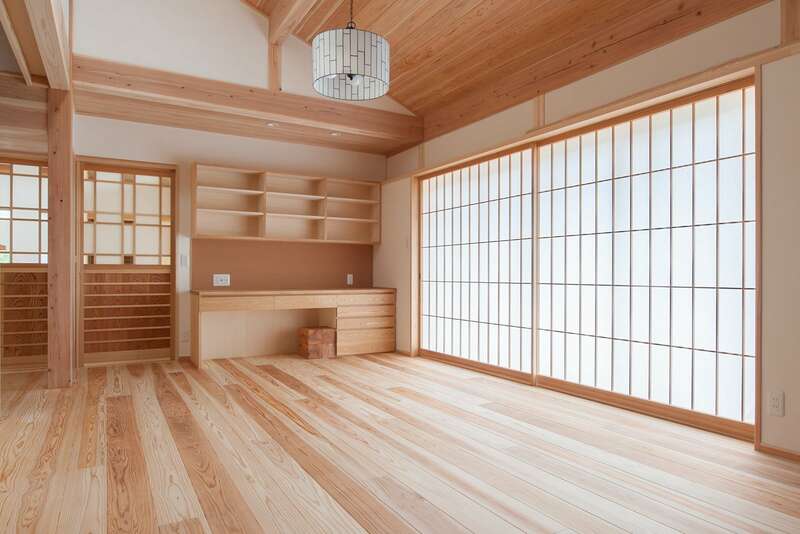 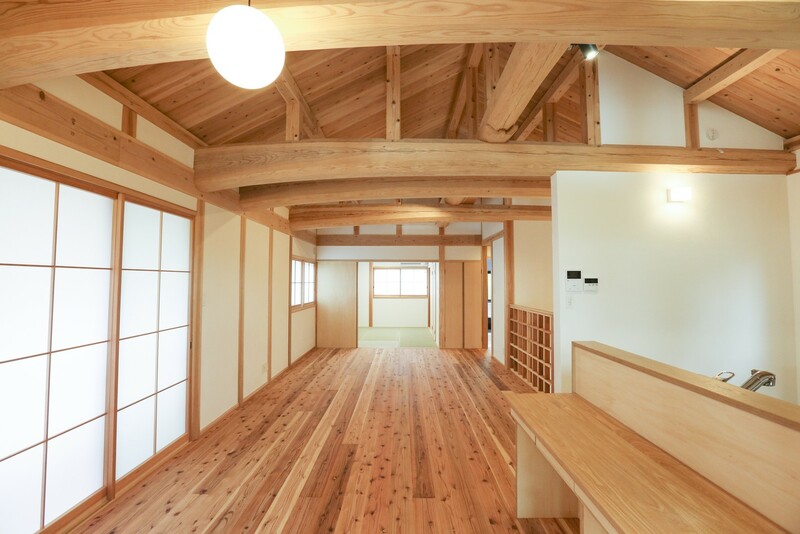 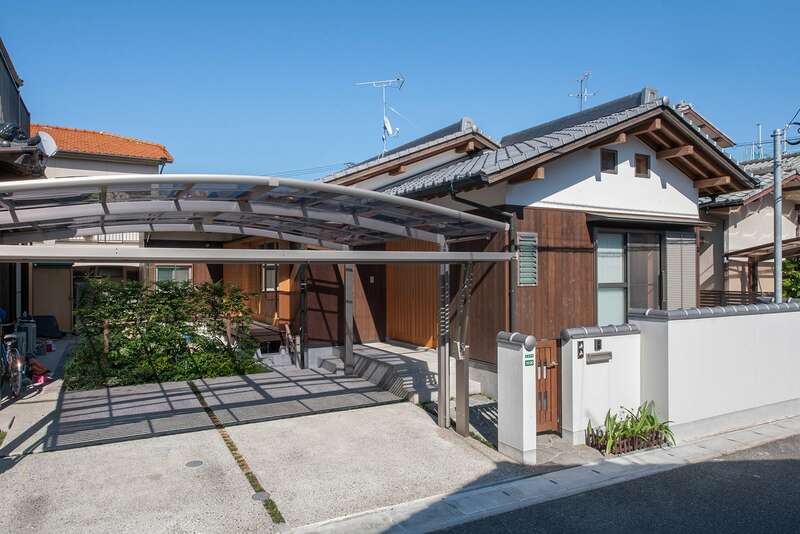 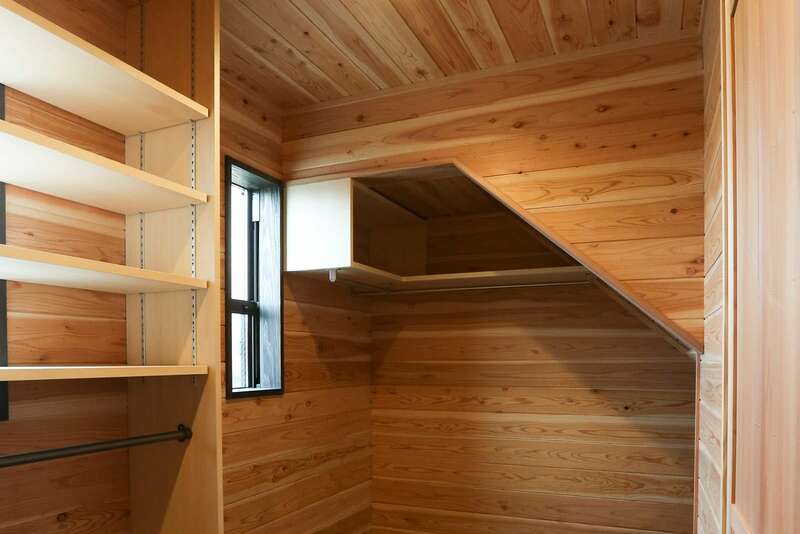 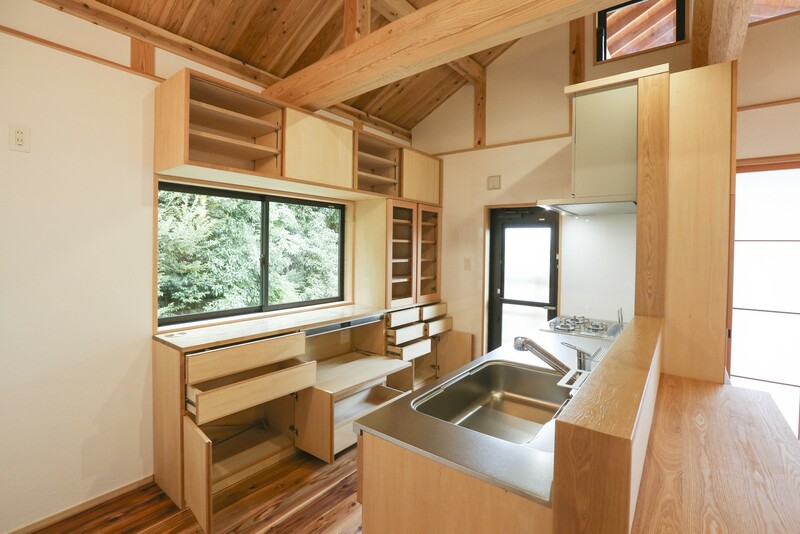 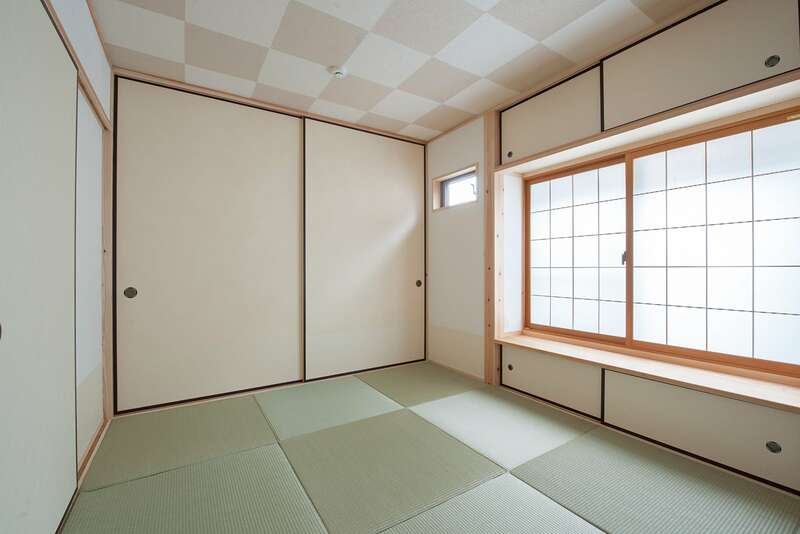 In this way, a house in which the customer will live the next 100 years is completed. 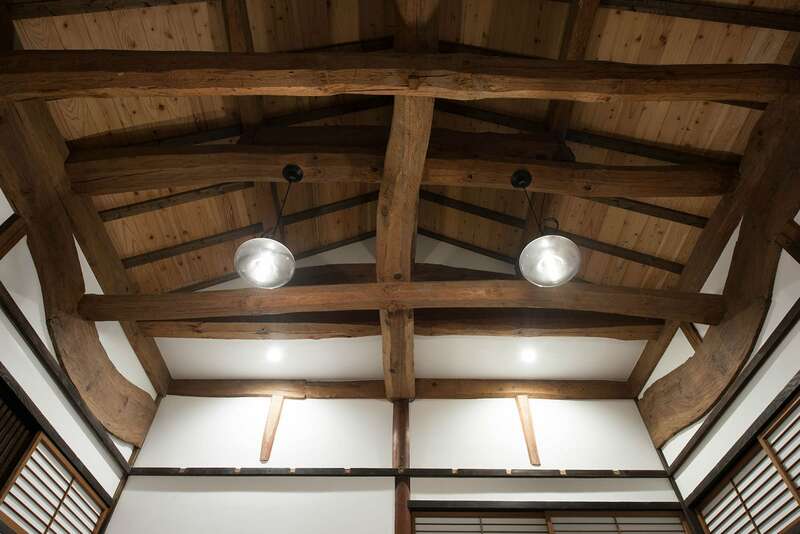 The farmhouse, characterized with wide earth floor and continuous reception rooms, consists of two parts, one built 130 years ago, the other built 80 years ago. 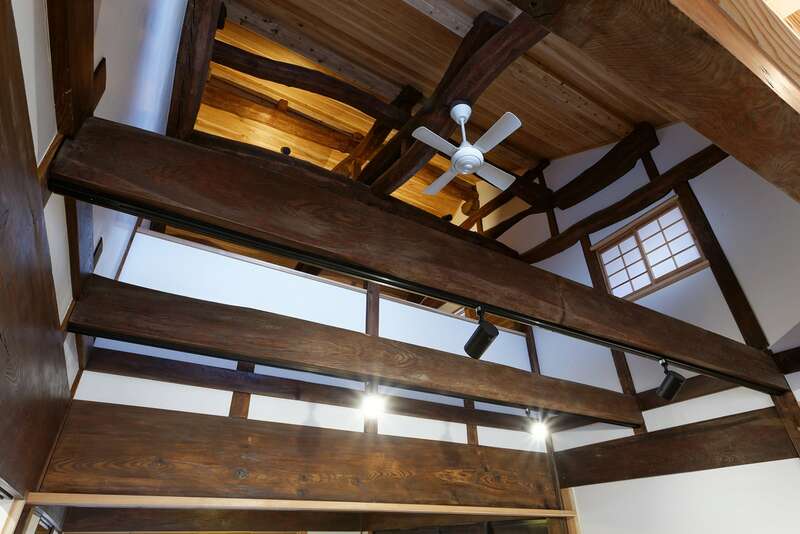 Since the underfloor was hardly corroded by insects damage and high humidity, the various structual repairing was needed for the old house. 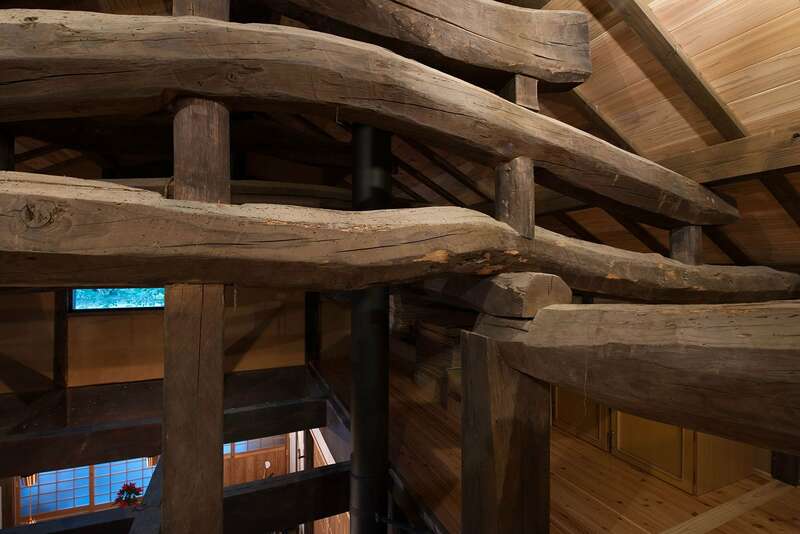 Some pillers were replaced, some were repaired by root succession, and some beams were replaced. 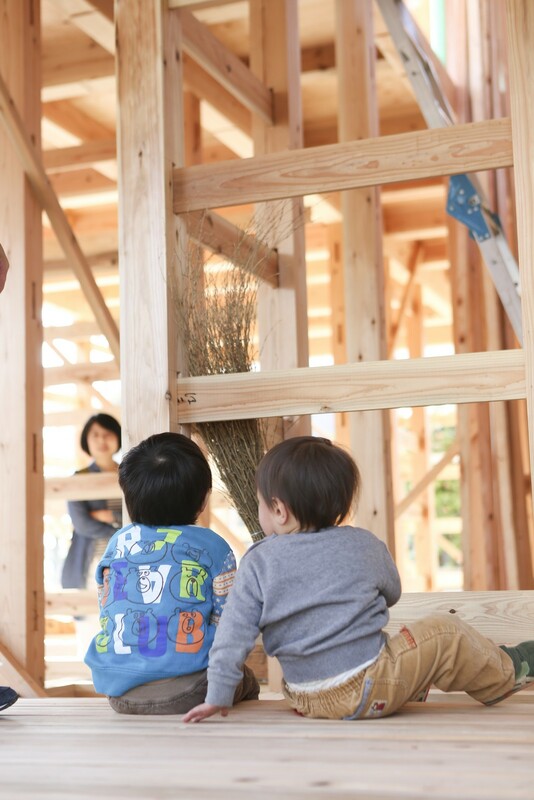 During the renovation, many carpentry workshops were held in the place, and lots of the attendants got the opportunity to learn about traditional wooden building. 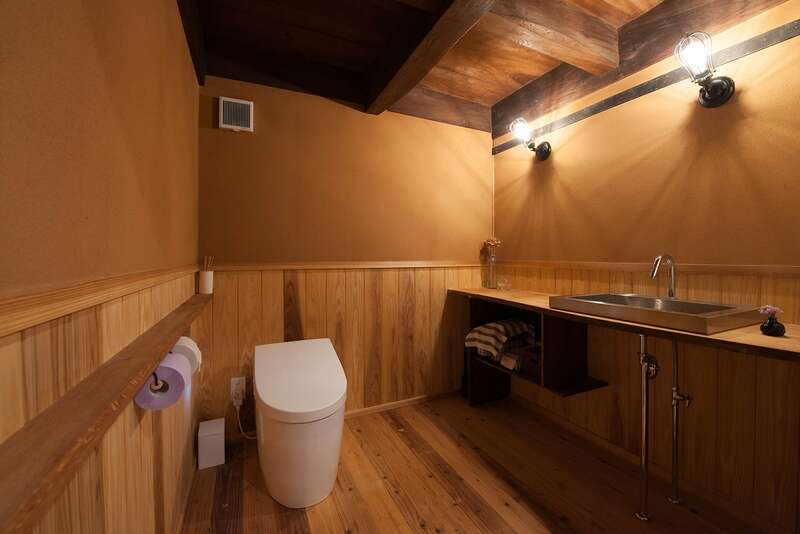 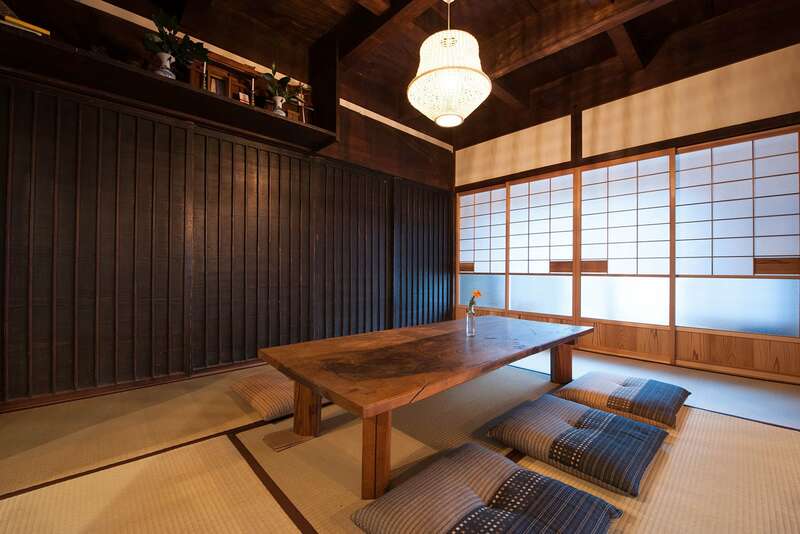 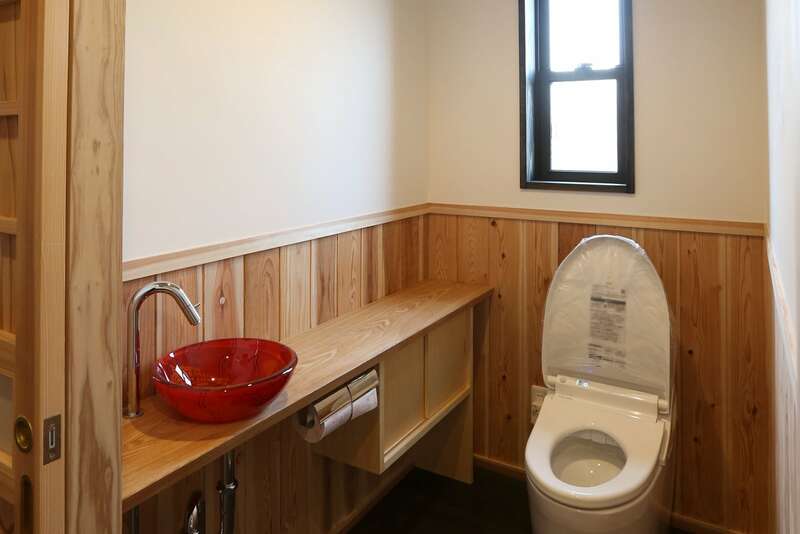 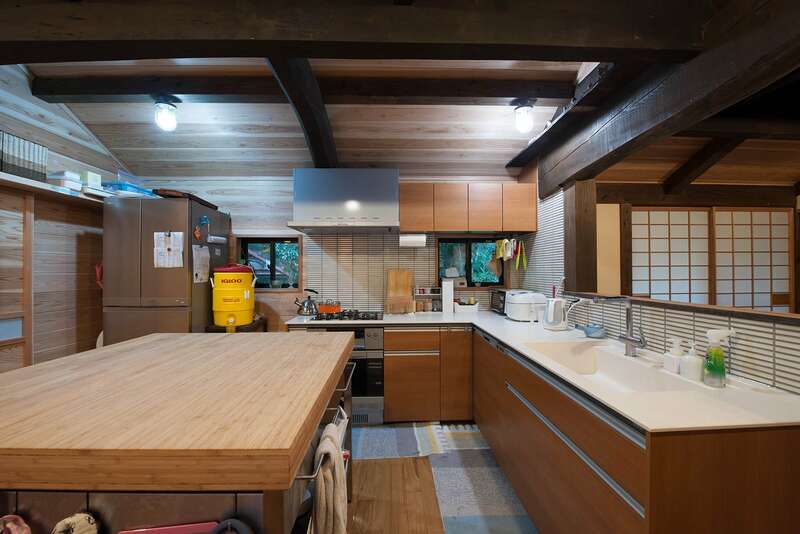 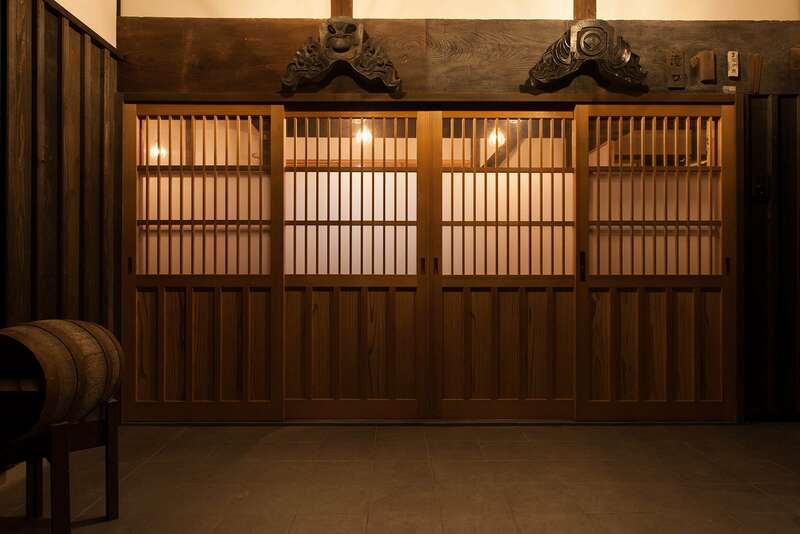 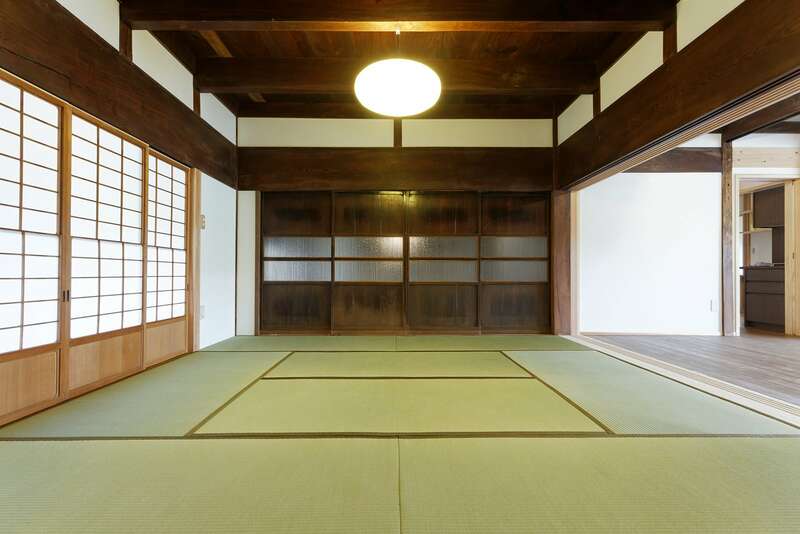 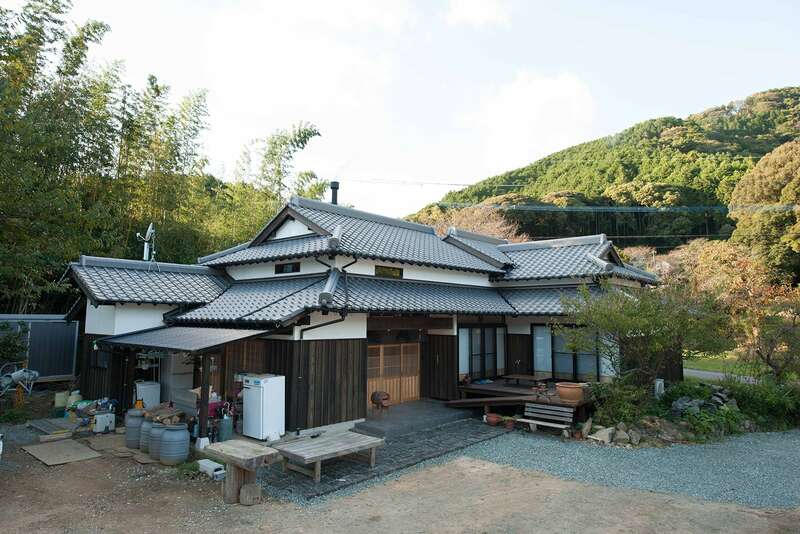 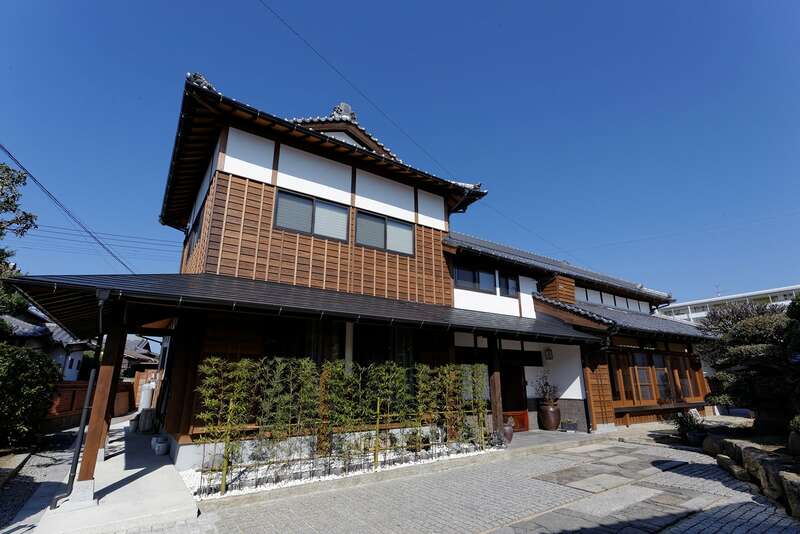 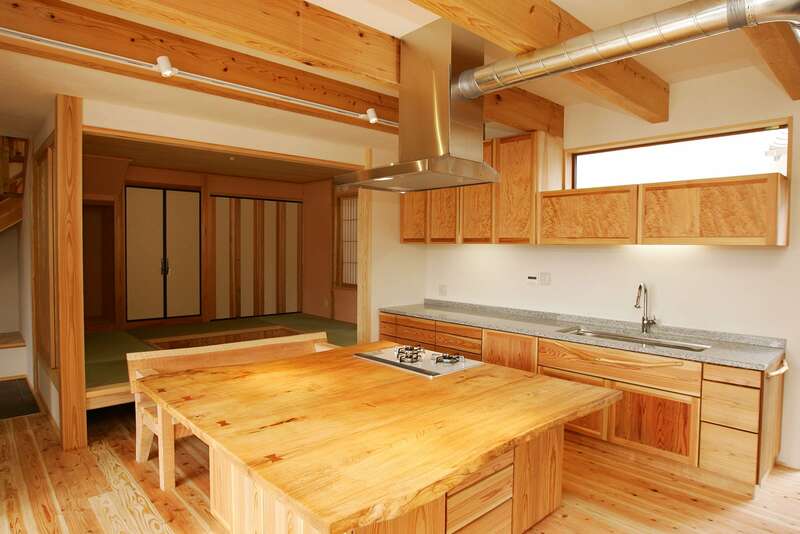 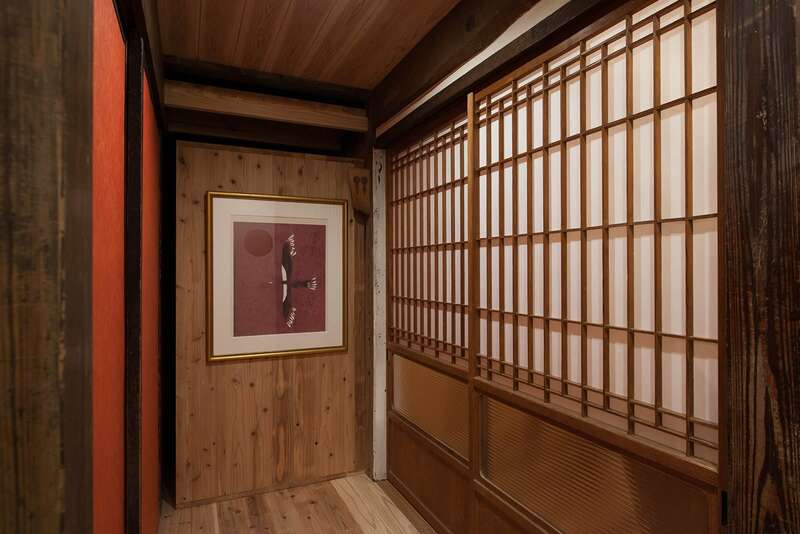 The farmhouse belongs to a master carpenter, Takiguchi, in Sumaikoubou. 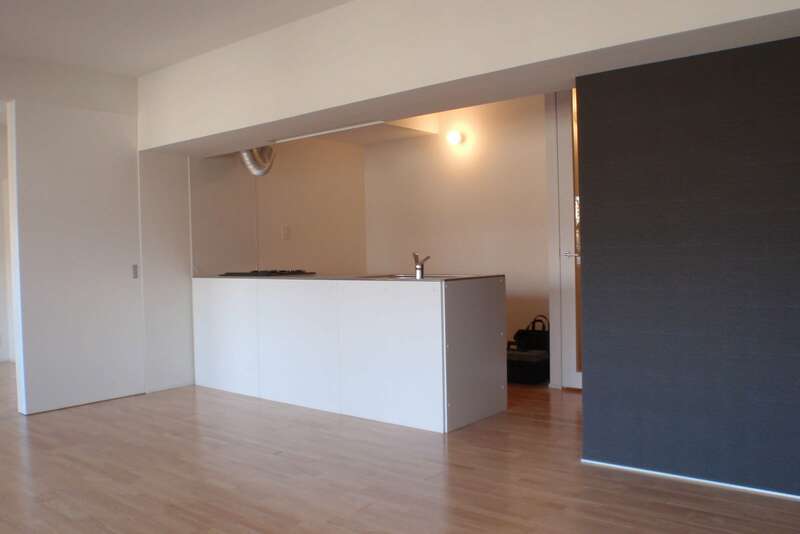 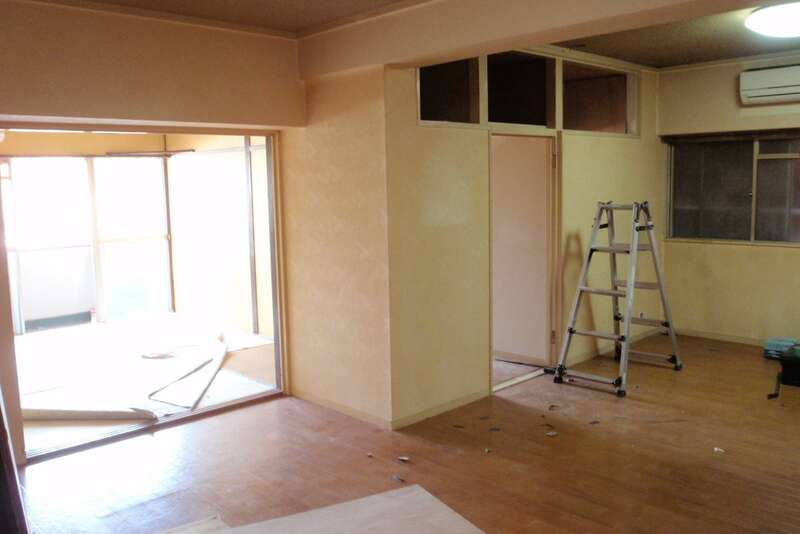 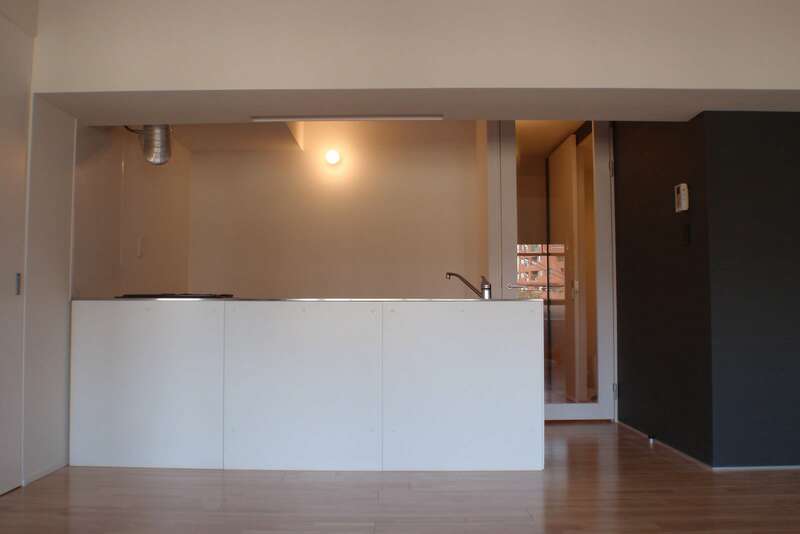 All the walls and floor, ceiling of the room were removed and renewed. 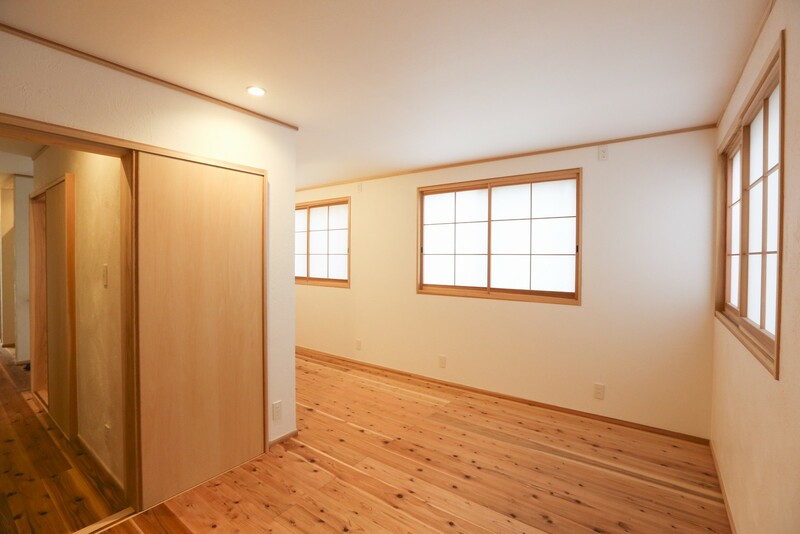 When an existing wall is removed, the position of the new wall can be freely decided. 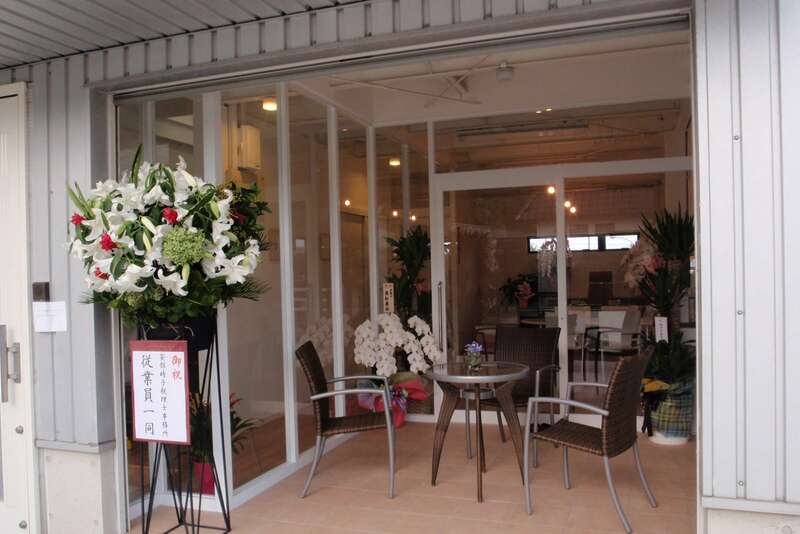 The work was compatible with both the customer's request to make it as a place to relax like a café, and the customer's demand to increase the efficiency of office work.  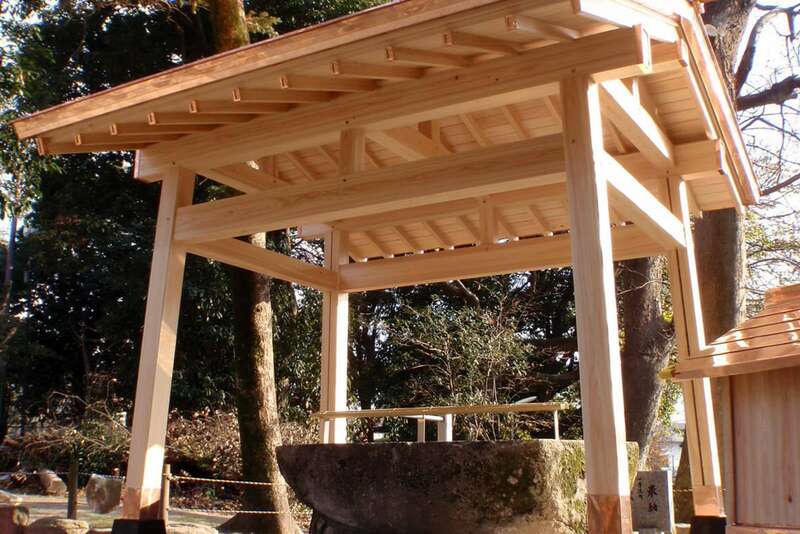 Shiho-korobi, one of difficult traditional frame making techniques, was used for the shrine. 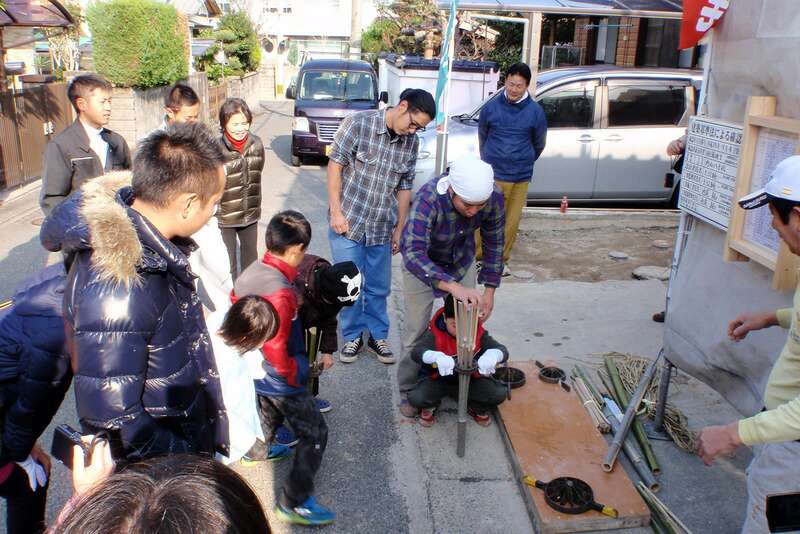 It was the chance to show our skills. 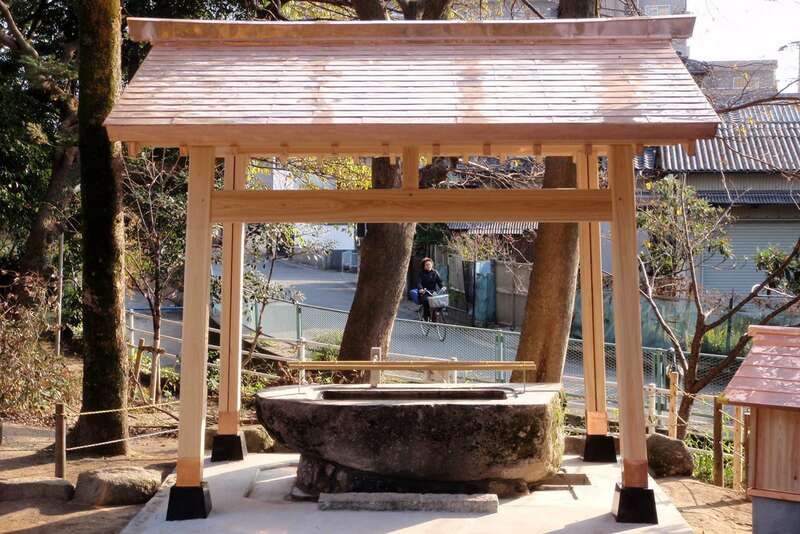 The shrine could keep it as it is, even after 100 years.